Alagaw is a tree that is only found in the Philippines. It grows wild on Mt. Banahaw and in many other places in the Philippines. For many years now, Alagaw has been considered a drug in the Philippines, being used to loosen phlegm and relieve coughs. It is also claimed to benefit tuberculosis and headaches. Its other properties are carminative, parasiticide, sudorific, and pectoral. 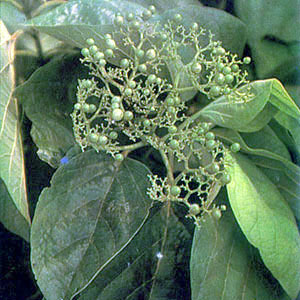 Alagaw is one of the great medicinal herbs of the Philippines. This entry was posted in List of Medicinal Plants in the Philippines and tagged Alagaw on March 2, 2009 by Pinoy Herbs. what is the contraindication for alagaw? are agdaw and alagaw similar? what are the parasiticide properies of alagaw? Is it possible that it has antifungal effects? I have my thesis and i am thinking of using this as subject for experiment as antifungal. I learned fact but I want to know more cures. base from my experienced yes it is great for anti fugal. i have my athlete foot for almost 25 years and i alreadytried all medicines, all anti biotics, al kinds of cream buy it didn’t cure my feet. But when i tried to drink boiled alagaw in just one week of daily drinking it i was realy amazed it cured my athlete foot it is really miracle for me.